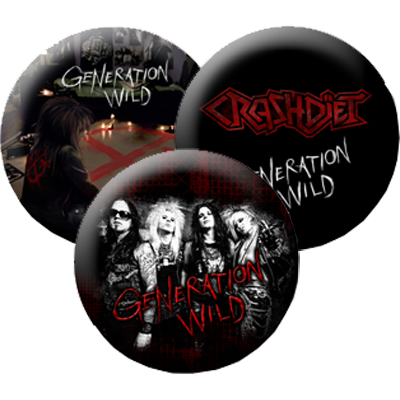 Awesome pins that looks perfect on your jacket, Crashdiet tote bag or whatever! Awesome! Perfect for a jacket, great quality! These are some very nice little buttons. My daughter liked them too and stole one from me when she saw them, so now I only have two to put on my battle vest.